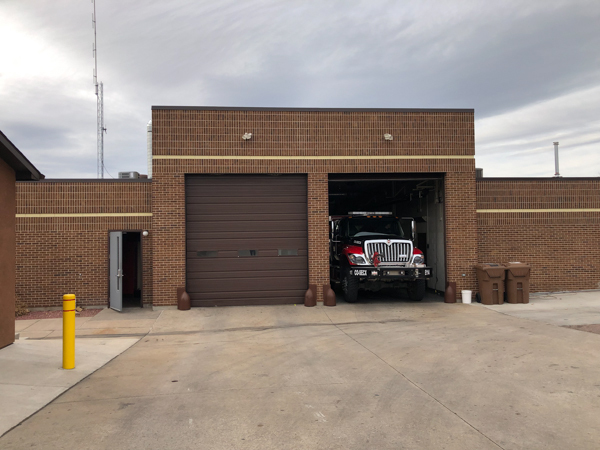 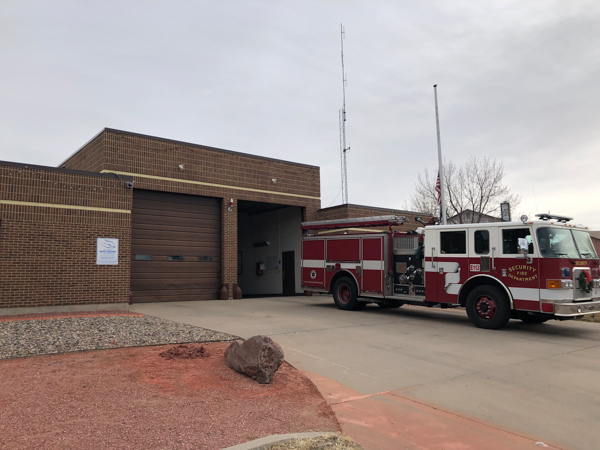 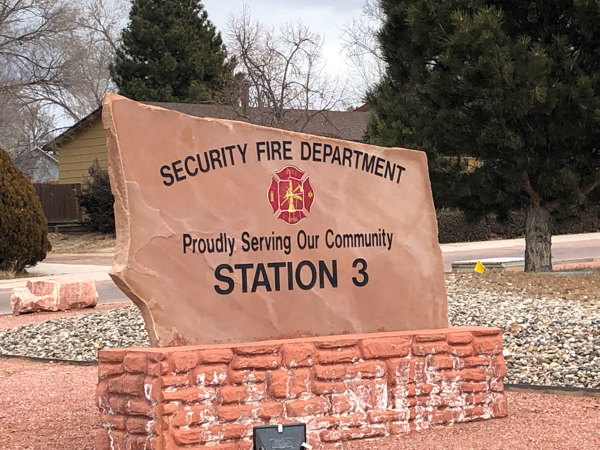 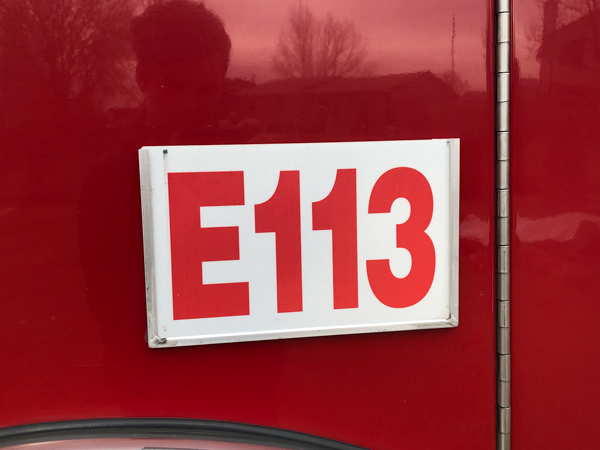 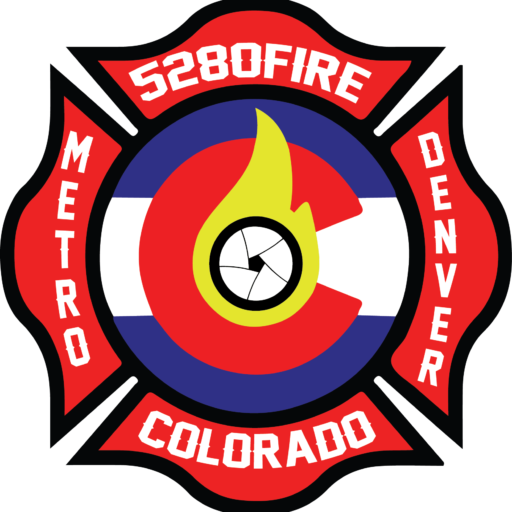 Fire Station 3 is located at 5110 Bradley Circle. 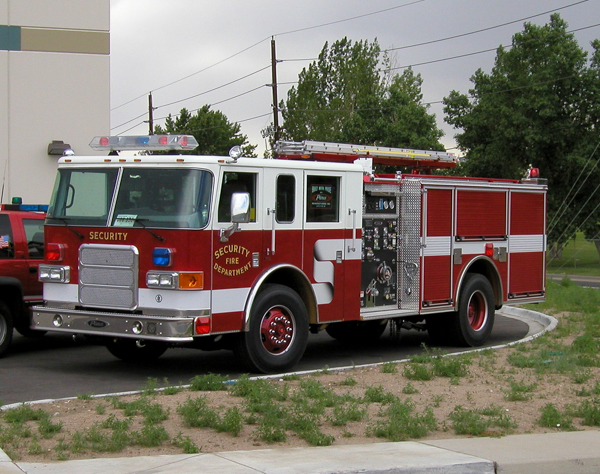 2003 Pierce Enforcer (14304), also ran as Engine 3. 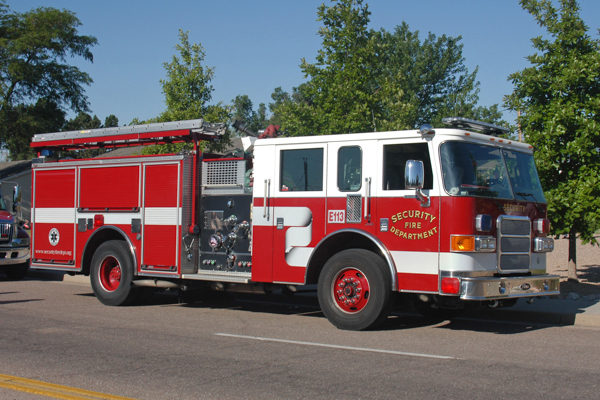 1986 Pierce Saber 500 gallon water tank / 1500 gpm pump, twin to Engine 115 at Station 2. 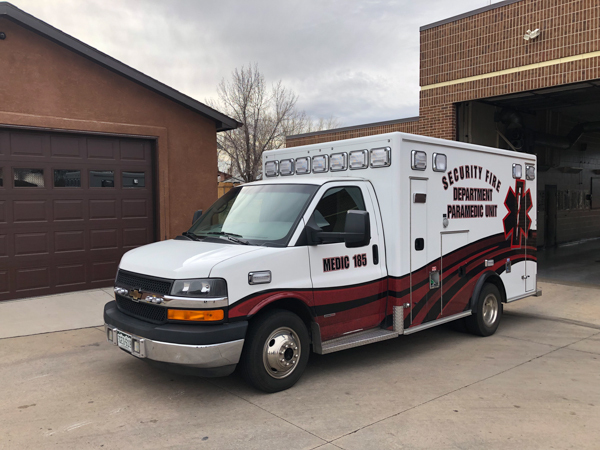 2015 Chevy Express / Medix (G33503). 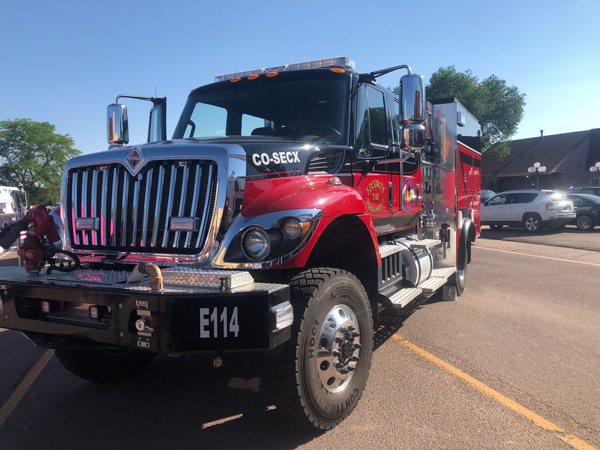 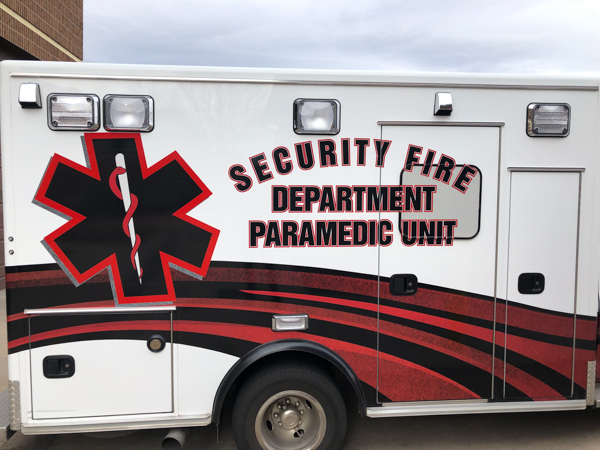 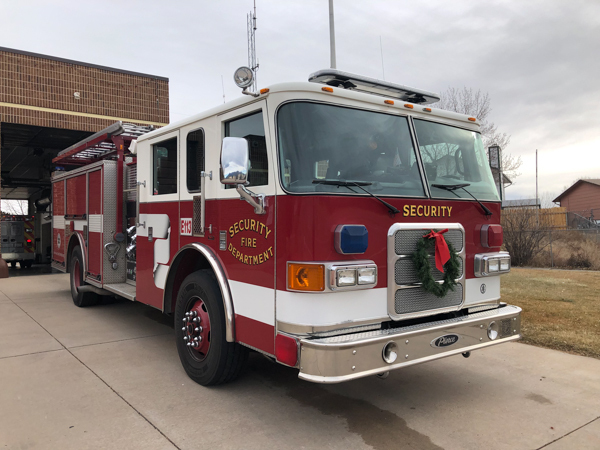 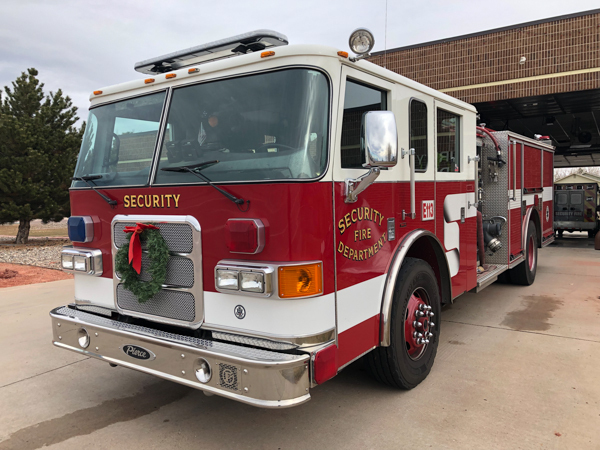 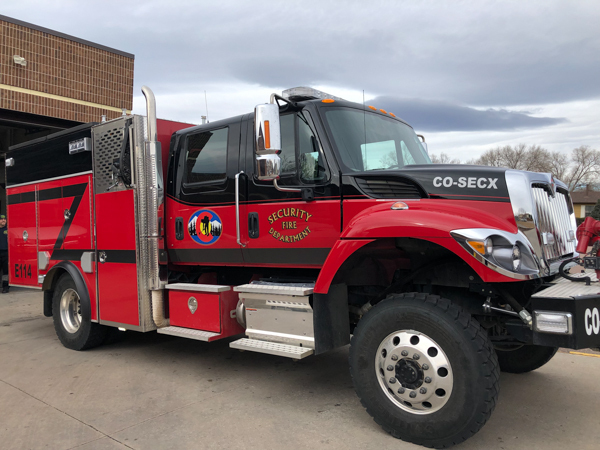 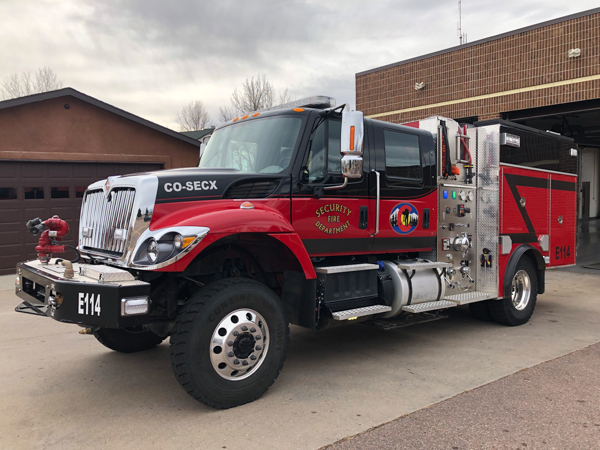 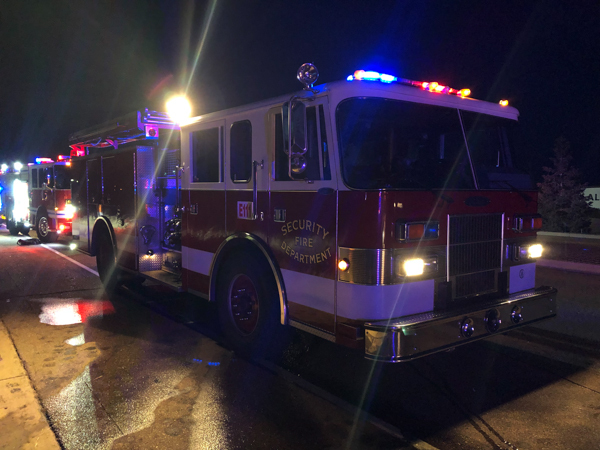 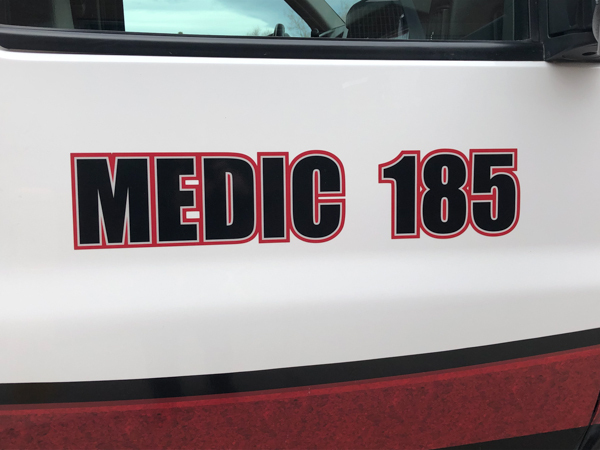 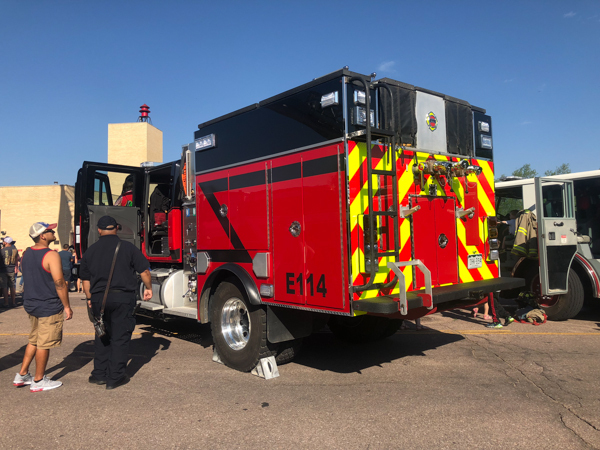 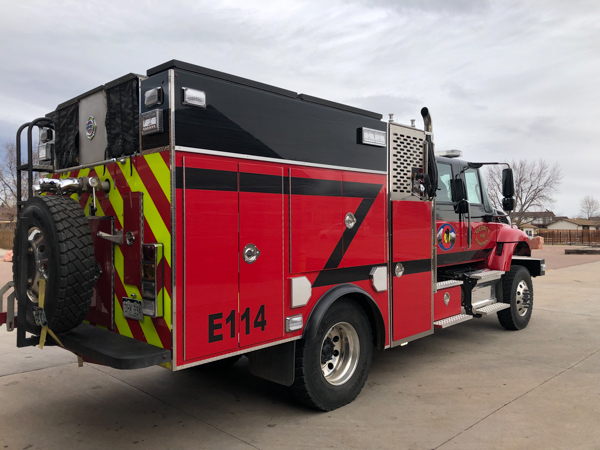 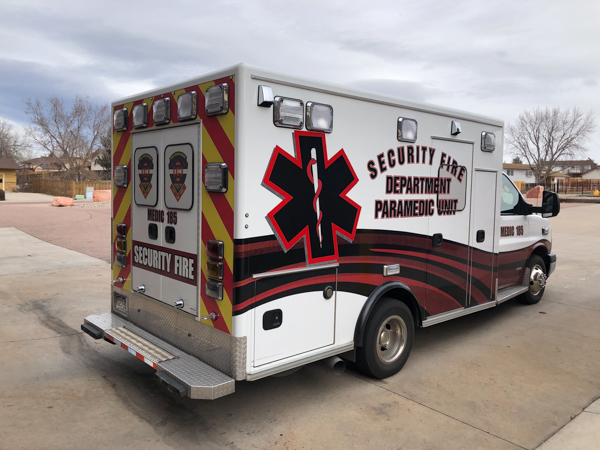 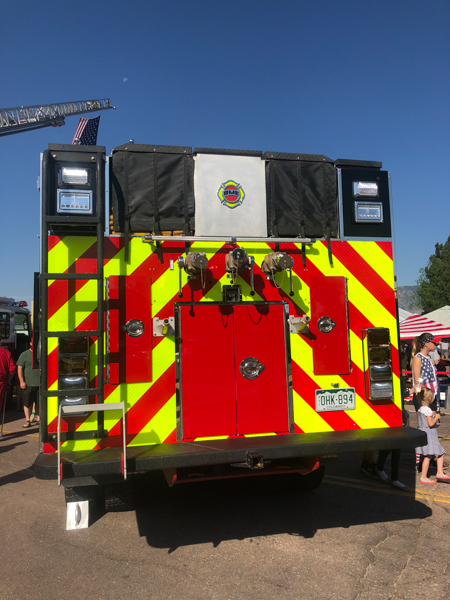 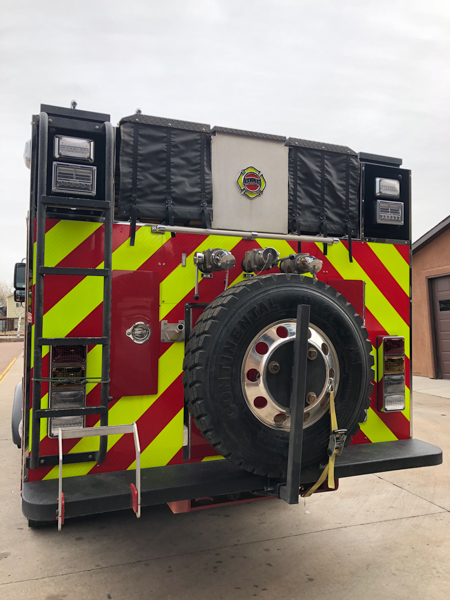 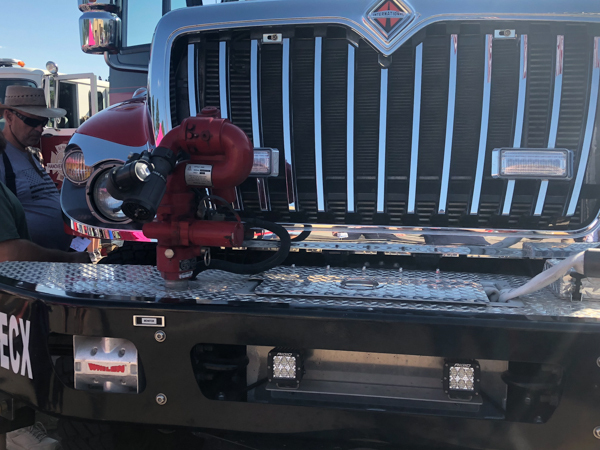 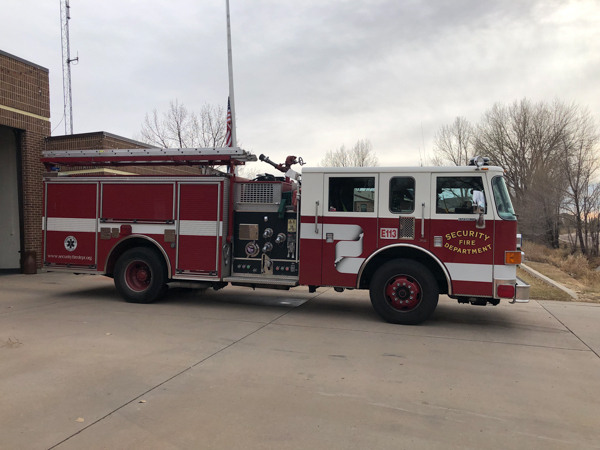 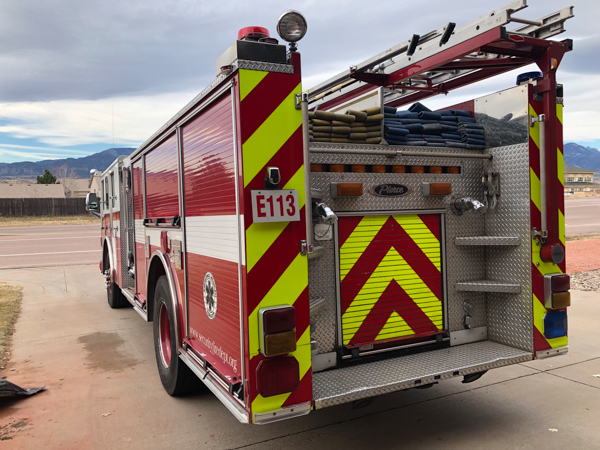 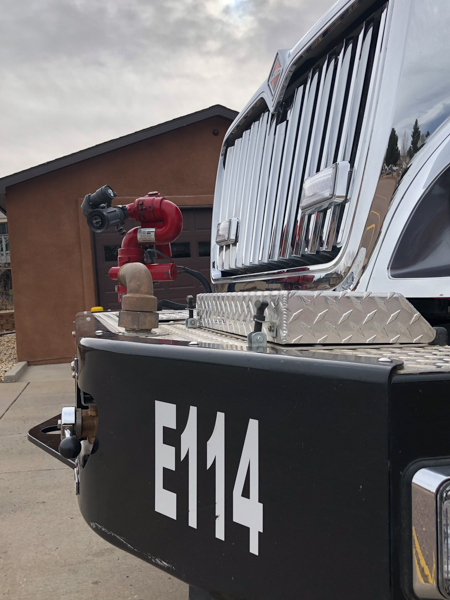 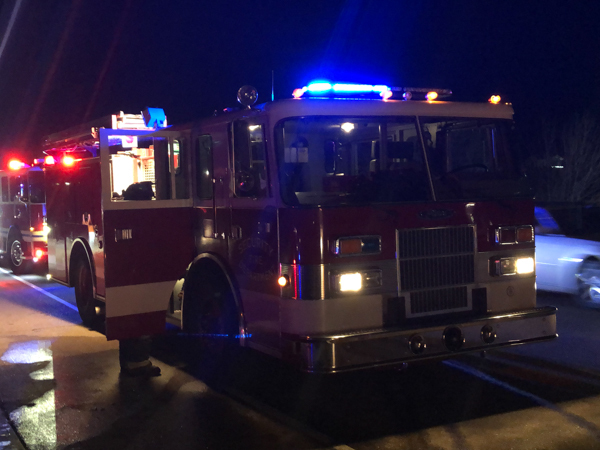 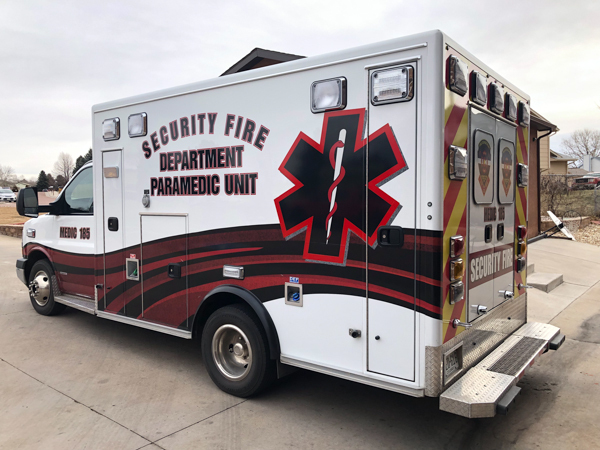 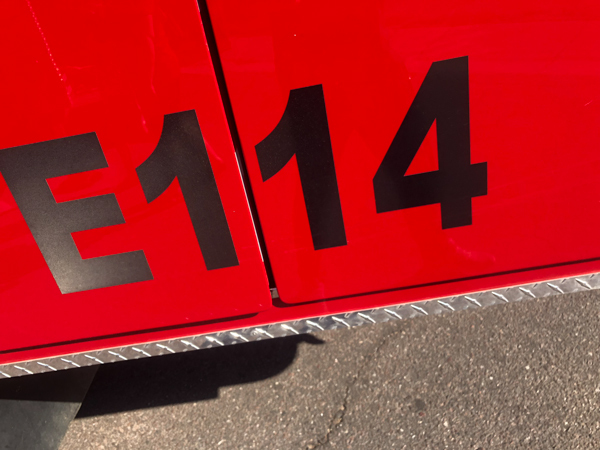 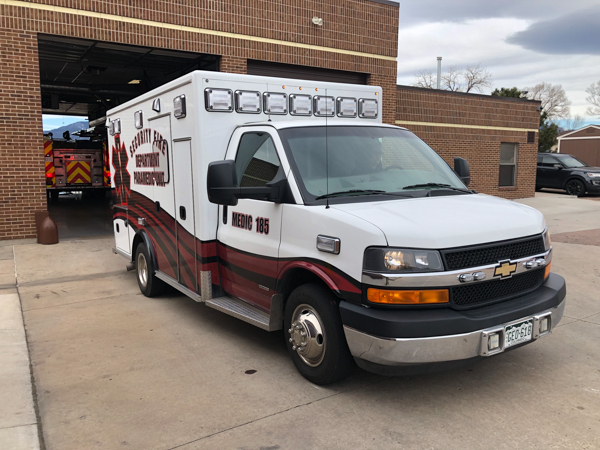 2018 International HV Series / BME (4048716C1) 1000 gallon water tank / 1000 gpm pump (Darley). 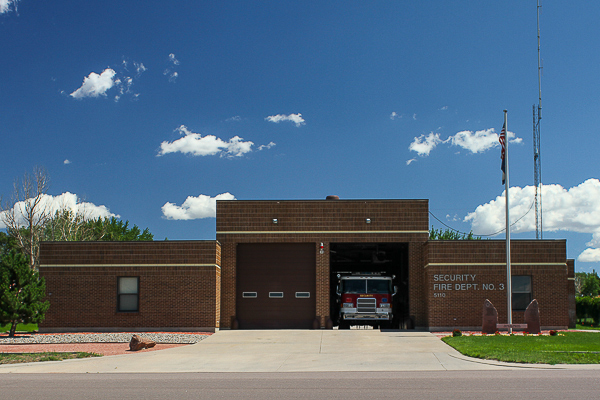 Fire Station 3 shown here at the current located on Bradley Circle. 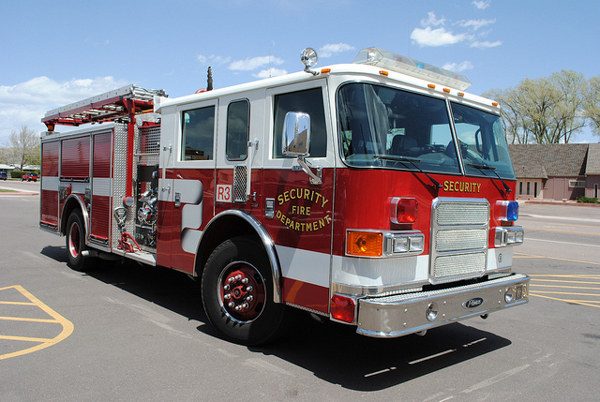 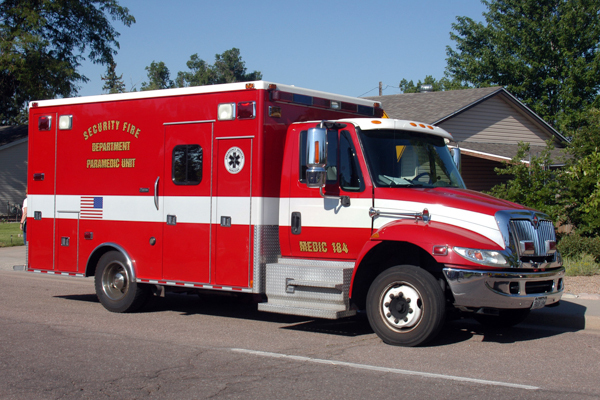 Shown here with the new bar lights, and running as Reserve Engine 3.
International, this has been sold.